Aromatic amino acids are relatively nonpolar. To different degrees, all aromatic amino acids absorb ultraviolet light. 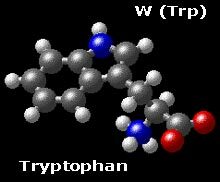 Tyrosine and tryptophan absorb more than do phenylalanine; tryptophan is responsible for most of the absorbance of ultraviolet light (ca. 280 nm) by proteins. Tyrosine is the only one of the aromatic amino acids with an ionizable side chain. 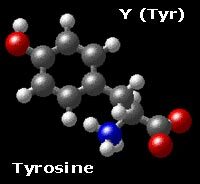 Tyrosine is one of three hydroxyl containing amino acids.